Stop the fatigue and raw fingers when hand-installing cable ties! 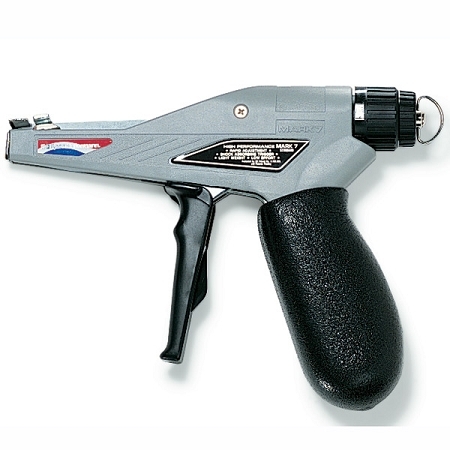 Instead, for the high-tension cables, use this Hellermann Tyton tool which includes 3 adjustable tension levels to prevent harming your fingers and cable damage from over-tightening cable ties. The patented MK7HT tool has top of the line features to install standard plastic cable ties ranging from 0.09 to 0.18 in width with a minimum tensile strength of 50lbs. With a simple trigger action, your cable ties will be properly tensioned and trimmed. 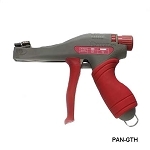 For the most optimal comfort for the user, a contoured foam-grip handle is incorporated in this brand name cable tie tool. Instead of replacing the entire tool, change dull blades with the optional Replacement Blade Kit. Please select the More Information tab for Specifications and the Operation and Instruction Manual. Tensions and cuts plastic cable ties that range from .09” to .18” in width and have a minimum tensile strength of 50 lbs.